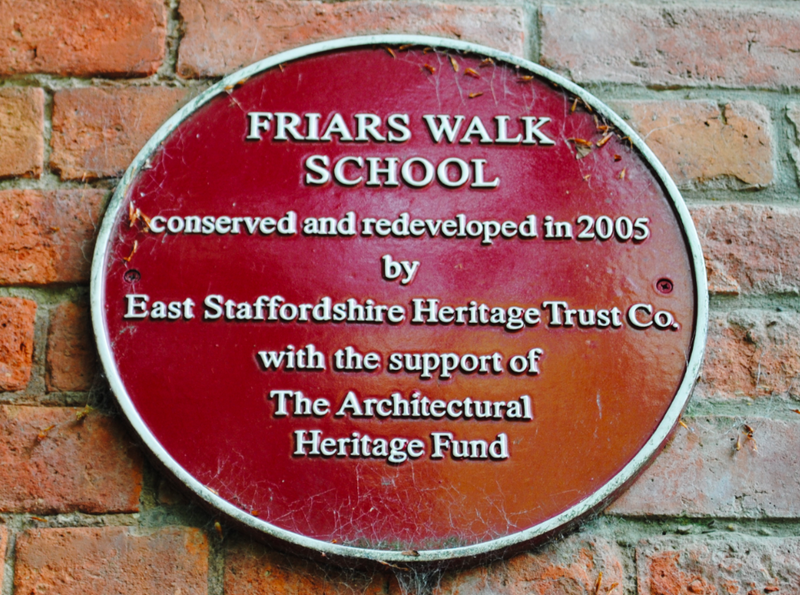 Located on Friars Walk in Burton Upon Trent is the site of the school which replaced the 16th century Grammar school. An inscription on the building dates the school from 1834 which at the time, consisted of one classroom, a dwelling and a stable. The gabled brick building is situated next to the graveyard of the church of St Modwen. The building was enlarged and improved in 1959 during which the main entrance was moved further to the left of the premises. Further redevelopment took place in 2005 with the support of the Architectural Heritage Fund. 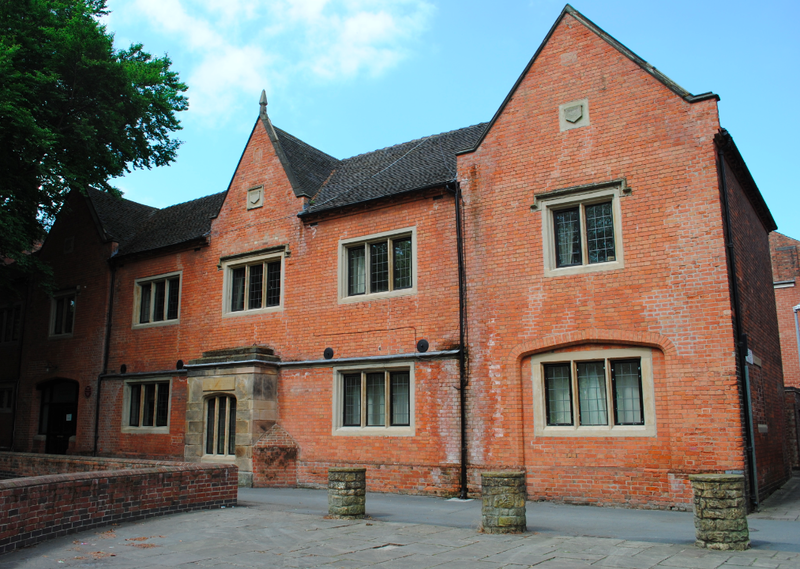 The building is of red brick and ashlar dressings with 19th century stone mullioned window casements. The inscription above what was the main entrance bears the date 1834. Friars Walk School is Grade II Listed.